This article is meant for administrators who have purchased a license and are looking to add their users. For domain-wide licenses, users will be automatically upgraded. To add users to a non-domain license, you have two options. 1. Send us a .csv list with the email addresses of the users you want to add to the license. 1. 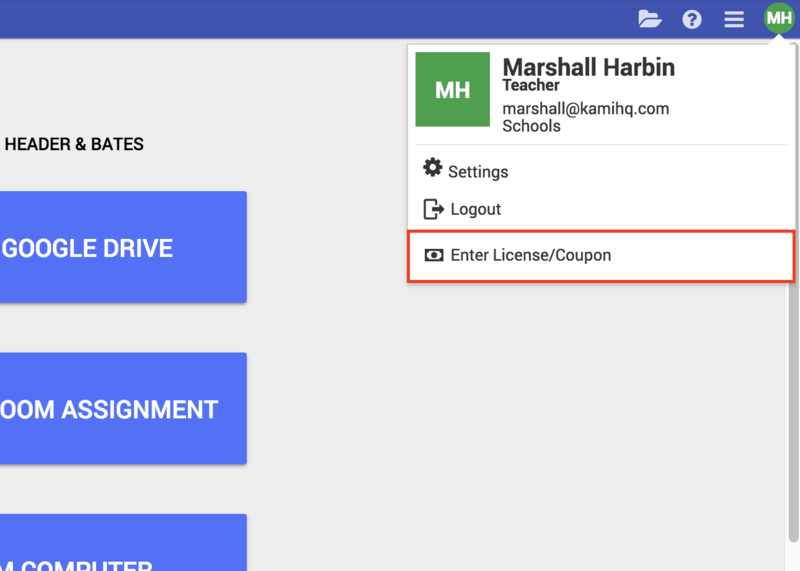 You can manually add users to the license by going to Kami and clicking the Profile button in the top right corner, then clicking "Enter License/Coupon." 2. Next, add the license key and press "Apply."